I am a big fan of Chris Bohjalian’s novels – each has such unique plots and characters and no two are alike. I have read and enjoyed The Night Strangers, Midwives, Skeletons at the Feast, and The Double Bind. So, it’s about time that I finally got to read his 2014 release, Close Your Eyes, Hold Hands. My husband gave it to me for Christmas last year! It was worth the wait, a compelling novel about an orphaned teen trying to survive after the disaster that took her parents. Emily was a normal teen girl living in Vermont’s Northeast Kingdom, going to school, hanging out with her best friend, and occasionally fighting with her parents. Then her world shattered. The local nuclear power plant, where both of her parents work, melted down. At first, Emily evacuates with the rest of her class to a college a safe distance away. When she hears talk, though, that perhaps her father was at fault (and perhaps he was drunk), Emily fears that she will be questioned. Overwhelmed, with her parents both dead at the disaster scene and the entire region closed down, Emily feels that she has no option but to run. She heads to Burlington, Vermont’s largest city, where she hopes she can remain anonymous. She tries a teen shelter but soon worries when one of her fellow residents figures out who she is. Homeless and orphaned, Emily bounces from one bad situation to another. At one point, during the cold Vermont winter, she lives in an igloo made of frozen trash bags filled with leaves (and that’s one of her better situations). She finds a young boy named Cameron who is also alone and takes care of him, protecting him and feeding him as best as she can. Through all of this, Emily’s spirit perseveres, as she tries to emulate her favorite poet, Emily Dickenson. The novel has an unusual narrative approach; it is written as Emily’s journals. As such, it jumps around a lot in time, sort of a stream of consciousness, as Emily tries to make sense of all that has happened to her. So, the novel opens with Emily talking about the trash bag igloo that helped her survive the winter, then flashes back to reminiscing about her childhood, then onto the nuclear meltdown that happened in June. In this way, the reader pieces Emily’s story together bit by bit, getting glimpses of her home life and relationship with her parents, her best friend at home, and the horrible experiences she survived while homeless. Throughout, she tries to come to terms with her losses, grieve, and figure out how to survive, not daring to think about the future. With its teen narrator and unusual circumstances, I was hooked right from the beginning by this compelling story. There is some suspense, both in piecing together the past and seeing how Emily will survive, as well as plenty of emotional depth. The novel is not only about loss and survival but also about healing, family, and friendship and finding or making a family for yourself. 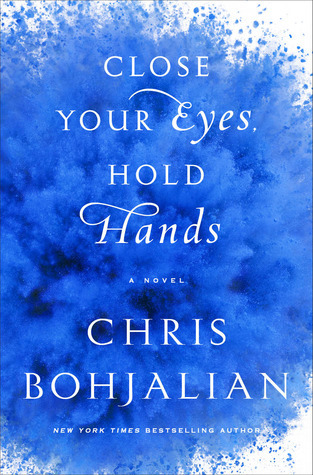 Close Your Eyes, Hold Hands is one of those novels that utterly envelops you while you are reading it so that you feel you are living in that world and feeling what its characters feel – another unique and moving novel by Bohjalian. All four of us came down with a stomach virus last week (actually 12 extended family members in total got it! ), so we spent last Monday sprawled all over the family room in couches, recliners, and the floor, sipping water, nibbling crackers, and watching mindless TV. This was a good movie for that state of mind! We watched Scrooged, a 1988 version of A Christmas Carol, starring Bill Murray. You probably already know the general storyline! In this adaptation, Murray plays Frank Cross, a television executive willing to sacrifice anything to get good ratings. Christmas is coming and besides holiday specials like The Night the Reindeer Died starring Lee Majors, Cross has ordered his staff to put on a live version of A Christmas Carol, requiring everyone to work Christmas Eve. Of course, on that fateful night, Cross himself is visited by the ghosts of Christmas past, present, and future (with the Christmas Present ghost a small fairy played by Carol Kane). You know how the story goes. Karen Allen co-stars as Cross's ex-girlfriend, who remembers him when he was a good guy and not so corrupted by greed. There are some fun cameos here, like Mary Lou Retton playing Little Tim in their live version of the story! 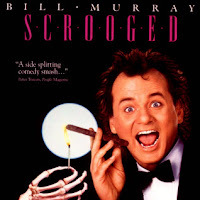 The movie was nothing spectacular, just a fun little bit of holiday fluff, with classic 80's SNL Bill Murray. Perfect for a day when we were wracked by fever and looking for some distraction that required no thought! Some of our other favorite holiday movies include Love, Actually (one of the best! ), The Holiday, National Lampoon's Christmas Vacation (more pure silly fun), Miracle on 34th Street (the original, naturally), and, of course, It's a Wonderful Life. My kids love Home Alone, of course, and I really loved The Family Stone. We are more likely to watch old Christmas TV specials than movies this season - we have a large collection on DVD and, yes, many on VHS: shows like Santa Claus is Coming to Town, Rudolph, Frosty the Snowman, A Charlie Brown Christmas, and various Muppet Christmas Specials (our favorite is the 1998 A Muppet Family Christmas - cracks us up every time!). The Snowman is a beautiful video to watch during the holiday season, adapted from a picture book and featuring gorgeous colored pencil drawings and beautiful music. What are your favorite holiday movies and/or Christmas specials? It's Monday 12/21! What Are You Reading? Whew, what a crazy time of year! 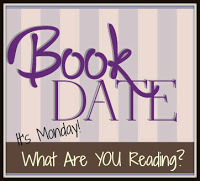 I haven't been on the blog much this month and even missed last week's What Are You Reading Monday...all four of us (plus another 8 extended family members!) were flat on our backs with a stomach virus. We spent last Monday lying on couches, recliners, and floor, watching mindless TV and movies, sipping water and nibbling on crackers. I am happy to report that we are all recovered now, but I lost several days in the critical pre-holiday celebration period! At the end of last week, I finished my last writing assignment for the year, so now I can focus just on holiday stuff - I still need to wrap all our gifts and send out 120 cards! I finished a new review book for Publisher's Weekly, Everyone Brave is Forgiven by Chris Cleave (and wrote the review last week). I was excited to be offered this one because I really liked Cleave's novel Little Bee. This novel is set during World War II in London, and it was excellent - moving, insightful, compelling - but it won't be released until May 3! Now, I am back to trying to finish last year's Christmas gifts before Christmas! I am reading Leaving Time by Jodi Picoult and remembering why she is one of my favorite authors. This novel about an elephant researcher who disappears and leaves her daughter behind is totally engrossing - and the information about elephants is fascinating. I finished listening to Echo, a middle-grade novel by Pam Munoz Ryan about a magical harmonica that links its young users through time. It was amazing on audio, with lots of music integrated into the story, and I loved the way all the threads of the different stories came together at the end. Now, I am listening to George by Alex Gino, another middle-grade audio book that has been getting a lot of attention. It's about a 9-year old boy who knows that she's really a girl inside and how she struggles with her secret. It's great so far. My husband, Ken, finished A Dance with Dragons, Book 5 in George R.R. Martin's A Song of Fire and Ice series. At 1150 pages, this was a hefty one! He really enjoyed it. Next, with a lot of stress at work, he wanted to read something light, so he read The Silver Linings Playbook by Matthew Quick, a novel I'd read last year and absolutely loved. He'd already seen the movie (we watched it together), but he enjoyed the book...though he said he liked the movie better! I have to admit, the dance scene at the end of the movie is unbeatable, and Cooper and Lawrence were both excellent in their roles, but I thought the book was even funnier. Now, Ken is doing what I am - trying to finish up his TBRs from 2015! He is reading A Farewell to Arms by Ernest Hemingway, a classic he and I bought at a bookstore this spring. I haven't gotten to this one yet, but he's enjoying it. Jamie, 21, finished Demonsouled by Jonathan Moeller, a fantasy of the type he loves. I think Jamie next read The Mage's Grave by Timothy L. Cerepaka, Book 1 in The Mages of Matir. He's finished with the semester at college now but is very busy running around with his friends - they are enjoying the holiday season in NYC today. Whew, I think that catches you up! As you can see, lots of great books at the end of the year. I have read some amazing books so far this month. TV Tuesday: Crazy Ex-Girlfriend - total fun & fluff, like an R-rated Glee - perfect for a stressful season! Teen/YA Review: Aristotle and Dante Discover the Secrets of the Universe by Benjamin Alire Saenz - just as good as everyone said! Summary of Books Read in November - I read 5 very good books last month! I finished 5 books last month, all fiction, with 2 teen/YA books and 3 grown-up novels. One was an audio. Best book of the month? Tough one - I enjoyed all of these. 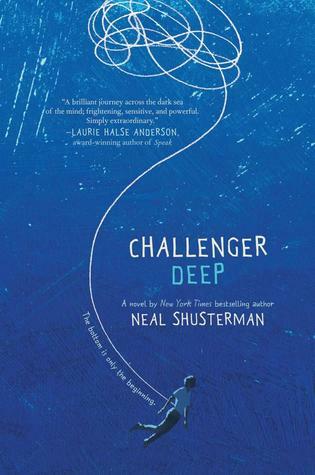 I guess I would pick Challenger Deep not only because I enjoyed it but because it was so deeply moving and unique. Apparently, the National Book Award agreed with me because it won in the teen/YA category last month! For my 2015 Where Are You Reading Challenge, I added just one new state, Maryland - it gets tough at the end of the year! I read just 1 more book from my own shelves for my Mount TBR Reading Challenge 2015. I listened to one more audio books for my 2015 Audio Book Challenge. Nothing new for my 2015 Nonfiction Reading Challenge, my Back to the Classics Challenge, or my Travel the World in Books Challenge. Sorry I haven;t been around much on the blog lately. 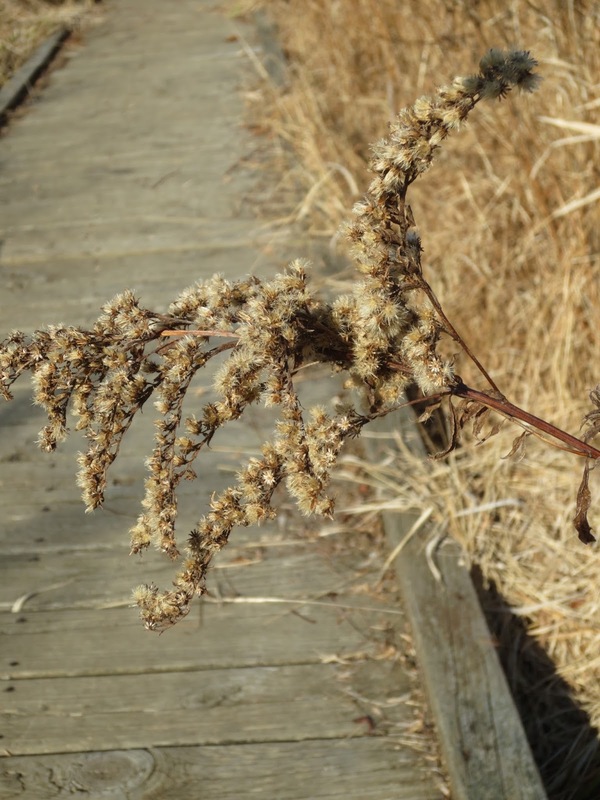 Between holiday preparations, traveling to see family, and a stomach virus that struck 12 of my 13 family members this week, I haven't had much time or energy for blogging! Everyone seems to be back to normal - now I just need to catch up! So, I just a few quick photos before I get started (yes, just getting started) on my Christmas cards! A rare top-down day in December! Hope you are enjoying the weekend and the holiday season! 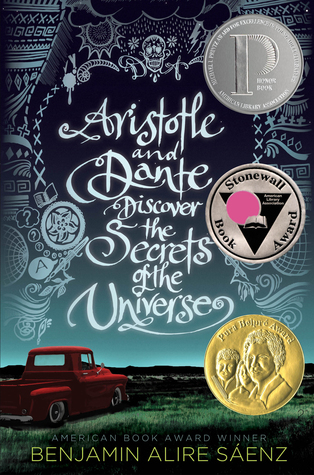 The cover of Aristotle and Dante Discover the Secrets of the Universe by Benjamin Alire Sáenz is covered with awards, and I’ve been hearing rave reviews of this novel ever since it was published in 2012. 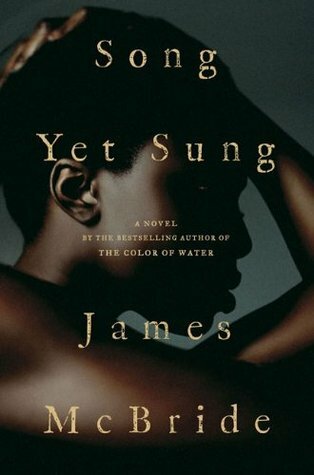 I finally had a chance to read this coming-of-age novel about friendship, sexual identity, and figuring out who you are. Aristotle and Dante are both teen Mexican-American boys living in El Paso, Texas, in 1987, both named after long-dead philosophers and both sort of loners without any close friends. That’s where the similarities end, though. They meet one day at the local pool, when Dante, an accomplished swimmer, offers to teach Aristotle – who can only float – how to swim. Dante is lightness and mirth, always laughing and happy, while Aristotle is often dark and moody. But the boys hit it off from their first conversation, immediately starting to laugh together over their shared strange names. Aristotle meets Dante’s parents and adores them, especially his father, who is open and talkative, welcoming Aristotle warmly. His own father hasn’t been the same since he returned from Vietnam, rarely speaking and often angry, and neither of his parents will talk about his older brother, who is in prison. The two boys spend an idyllic summer together, swimming, making up silly games, and experiencing what it means to have a best friend for the first time in their lives. Dante is the one person who can bring Ari out of his dark moods, who can get him to talk, who can make him laugh. Their friendship even helps Ari to begin to open up with his family. Before the summer ends, though, tragedy strikes, and their friendship hits some serious obstacles that complicate their easy relationship. This warm, moving, often funny novel is compulsively readable, as the easy-going, funny banter between the two friends turns into a deep bond. Although it delves deep into the mysteries of friendship, it also explores family, in all of its difficult and dysfunctional guises. Together, though in different ways, the two boys try to figure out who they are and what they want out of life, in a classic coming-of-age story, as they each encounter significant challenges. Aren’t such struggles always easier with a best friend by your side? In this hectic, stressful season, we can all use a good laugh now and then. Crazy Ex-Girlfriend, a new TV show on CW, is my new favorite escape - it is 100% silly fun with no redeeming value! In the first episode, we meet Rebecca, a seriously neurotic New Yorker with plenty of issues. She is a high-powered lawyer (graduated top of her class at Harvard), but she's not happy. She loved the theater, but her mother convinced her to become a lawyer and now her job is her whole life. Then she bumps into Josh on the street. She and Josh were teenage sweathearts one summer at an arts camp; they had a summer fling and then never saw each other again. Running into Josh reminds Rebecca of all that she doesn't have: a boyfriend, friends, happiness...a life. So when her firm offers her a partnership, Rebecca shocks everyone by saying no, packing up, and moving to West Covina, California, the small town where Josh lives. Oh, yes, moving to the town where your high school boyfriend lives after seeing him on the street once is pretty crazy, but she insists she didn't move for Josh, just for the kind of life he has (she's lying). She finds an apartment and joins a small law firm that is thrilled to have someone of her caliber. Rebecca quickly becomes friends with Paula, the paralegal she works with, and chats up a local bartender who is friends with Josh. Crazy Ex-Girlfriend is like an R-rated Glee that never takes itself seriously. It does have an occasional heart-warming moment, but mostly it is just silly, slightly raunchy fun - just what I need right now with overflowing to-do lists! Crazy Ex-Girlfriend is available for $1.99 an episode on Amazon Prime, with episodes 4 -8 available free on the CW website or at IMDB. I wouldn't worry too much about jumping into the middle of the series - you'll catch up quickly - it's just not that deep! Sorry for missing a few weeks of Movie Monday – things have been so hectic with the holidays, family, and travel! No time for watching movies or reviewing them (or much time for blogging either). We did have one quiet weekend at home this week, before we start another round of travel and family gatherings, so my husband and I enjoyed a movie Saturday night. We watched The Age of Adaline, a movie I have wanted to see ever since we saw the preview in a theater back in March! 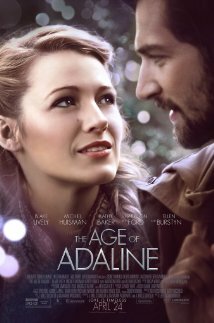 Adaline, played by Blake Lively, never ages. She was born in 1908 and had an accident in the 1930’s that caused her to stop aging. Since then, she has stayed the exact same 30-ish age and looks just the same, even as her daughter grows up, passes her up, and gets old alongside her (the older daughter is played by Ellen Burstyn). Early on, Adaline discovered that when the government figures out her secret, they want to study her, so she has coped all these years by moving every ten years and changing her identity. She is currently living as Jenny in her hometown of San Francisco, though she is preparing to change to Susan and move to rural Oregon soon. She lives a quiet life working in a historical library and avoiding getting too close to anyone. Things change, though, when she meets Ellis, a wealthy philanthropist who is attracted to her from the first time he sees her, played by Michiel Huisman (Sonny from Treme). Adaline struggles with her usual rules and wonders whether she should stick to her plan to disappear in a few weeks or give in and fall in love. She tries to keep her secret from Ellis, but when an old lover from 50 years ago, played by Harrison Ford, recognizes her, her careful façade begins to fall apart. It’s a great cast, and the actors all did a wonderful job. San Francisco makes the perfect backdrop to this story as it moves through one hundred years – even the city changes as Adaline stays the same. I loved this unique love story with a twist, and my husband enjoyed it also (though I think I liked it more - not much action in this movie). It's Monday 12/7! What Are You Reading? 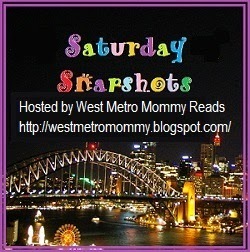 Whew - whirlwind week! With Thanksgiving so late this year and our family Christmas celebration early, next weekend, this week was filled with gift-buying, creating photo gifts, and other rushed holiday preparations. 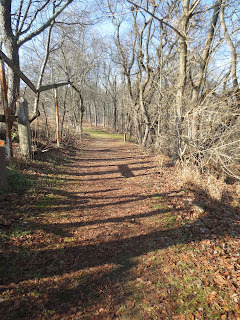 We did have a very nice weekend, going to the tree farm to cut down our Christmas tree and then decorating it yesterday - super busy but nice family time. Putting the tree up together is one of our favorite traditions. This will be another very busy week, getting ready to travel again for our early extended family Christmas celebration - lots to do! But then, we should have two nice, quiet weeks at home. I finished Close Your Eyes, Hold Hands by Chris Bohjalian, the story of a teen girl in Vermont, on the run and homeless after a nuclear plant where both her parents worked melts down. As with all of Bahjalian's wonderful novels, this one had a completely unique story and unforgettable characters. Now, I have started a new review book for Publisher's Weekly, Everyone Brave is Forgiven by Chris Cleave. I was excited to be offered this one because I really liked Cleave's novel Little Bee. This one is set during World War II in London. It's good so far - I like the characters - but it won't be released until May 3! I am listening to Echo, a middle-grade novel by Pam Munoz Ryan about a magical harmonica that links its young users through time. I am now in Part 3 of the novel (i.e. the third owner of the harmonica), and it has been engrossing - each child's story has pulled me in. Now I am wondering how it will all end! My husband, Ken is still reading A Dance with Dragons, Book 5 in George R.R. Martin's A Song of Fire and Ice series and 1150 pages! He's getting close to the end. Jamie, 21, made a last-minute switch and choose to read Demonsouled by Jonathan Moeller - the description says it is filled with swords and sorcery, so that is right up his alley! The four of us at the tree farm Saturday - 50 & sunny! 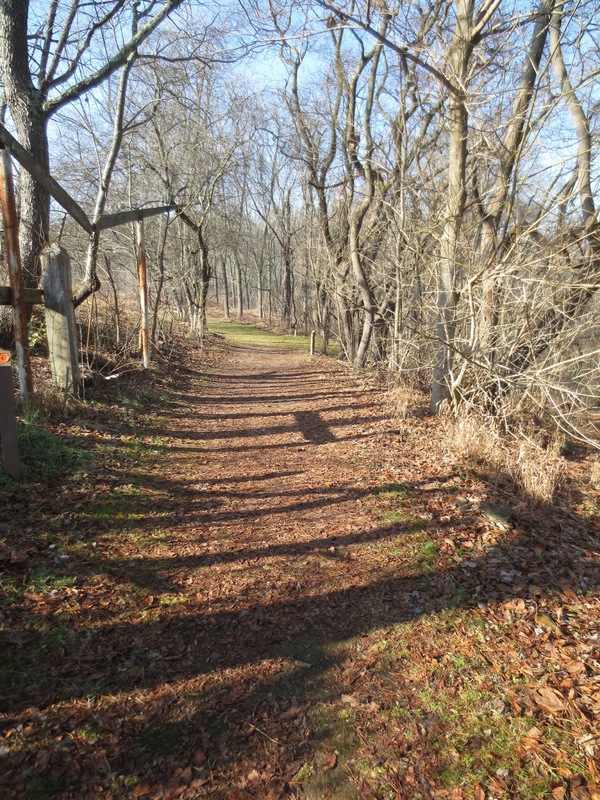 Temperatures in the 50's are fooling the trees into thinking its spring! 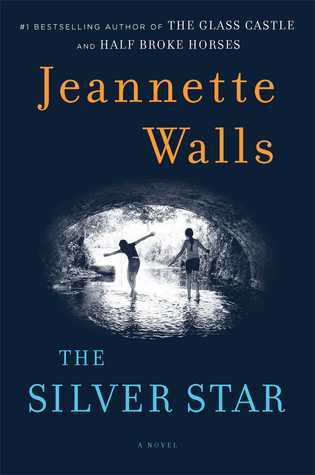 My book group and I loved Jeannette Walls’ memoir, The Glass Castle, and her partly-biographical novel based on her grandmother’s life, Half Broke Horses, so I was excited to read her first fully-fictional novel, The Silver Star, for the same book group. This moving, engrossing story of two girls abandoned by their mother didn’t disappoint. Clever fifteen-year old Liz and her lively twelve-year old sister, Bean, live in a small town in California with their mother, Charlotte, in 1970. Charlotte loves her daughters but is flighty and irresponsible, often leaving the girls on their own for weeks at a time while she pursues a music career, but they manage OK, eating their frozen chicken pot pies every night while she is gone and hiding her absence from the neighbors and their school. One day, though, Charlotte decides she needs some time on her own and disappears for months. When the girls see a police car outside their house, they decide they need to leave before social services takes them away. The two sisters catch a bus to Virginia, showing up on the doorstep of Uncle Tinsley, whom Liz only vaguely remembers; Bean was an infant when their mother left with them. He lives in the dilapidated old house where Charlotte grew up, in a small mill town in Virginia. Their family owned the mill – and much of the town – for many years, though Uncle Tinsley has now become an eccentric recluse. Though surprised by their arrival, he welcomes his nieces in and offers them some venison stew and their mother’s old bedroom. The girls want to help with expenses, as it is clear Uncle Tinsley doesn’t have much money, but the town is pretty depressed and no one is hiring. They finally get jobs helping Jerry Maddox, the foreman at the mill (and the one responsible for kicking Tinsley out). Bean helps in the house with his wife and four children, and Liz becomes his personal assistant. When fall arrives, they start at the local high school, and Bean fits in pretty easily. Liz, who is more reserved than her sister and into poetry and Poe, has more trouble. When something horrible happens to Liz, things really fall apart, and she becomes very withdrawn and depressed. I was pulled right into this compelling story and fell in love with the two sisters, especially outspoken, honest Bean. Walls believably recreates a small Virginia town in 1970, where the schools are just being integrated. The girls’ struggle to survive on their own and their mother’s abandonment – over and over – is heart-breaking, but their love for each other and their growing relationship with Uncle Tinsley add plenty of warmth and even some humor. If you read The Glass Castle, then parts of this novel do seem somewhat autobiographical, but Walls has also created a unique and realistic portrait of these two sisters and their struggles. I was rooting for Liz and Bean from beginning to end and thoroughly enjoyed their journey. NOTE: Although the novel is meant for adults, older teens and young adults may enjoy it, with its teen protagonists; however, the book does tackle some difficult issues.